How to Cook Amaranth | Whole Grains | Andrew Weil, M.D. For pre-Colombian Aztecs, amaranth was not only a dietary staple, but an important aspect of religious rituals, as the women would shape a mixture of amaranth seeds with honey and even human blood into idols to be eaten ceremoniously. Today, amaranth is often popped like popcorn and mixed with honey, molasses or chocolate to make a popular treat in Mexico called “alegría” (meaning “joy”). Although amaranth derives its name from the Greek for “never-fading flower,” it is amaranth’s highly nutritious seeds (and greens, though they are hard to find), not its vibrant red blooms, that are its most valuable asset. 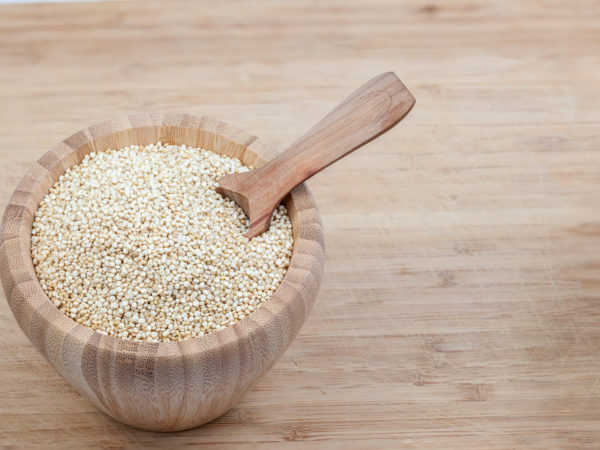 Like buckwheat and quinoa, amaranth is an especially high-quality source of plant protein including two essential amino acids, lysine and methionine, which are generally low in grains. Amaranth is packed with iron and calcium, and its fiber content is triple that of wheat. Amaranth is completely gluten-free and suitable for those with celiac disease; what’s more, it is an especially digestible grain, making it a traditional food for people recovering from illness or transitioning from a fast or cleanse. As one of the less mainstream grains, your best bet for locating amaranth is at your local natural food store. Looking for how to cook amaranth in a delicious dish? Try this amaranth recipe. How to cook amaranth: Combine amaranth seeds with two and a half cups water in a pot and bring to a boil. Reduce heat, cover and simmer for up to 20 minutes, until grains are fluffy and water is absorbed. 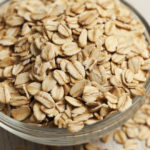 For a porridge-like consistency, use slightly more water (three cups for one cup of grain) and cook a little longer. You can also “pop” amaranth like corn; simply preheat a pot or skillet over high heat (must be very hot), and add amaranth seeds one or two tablespoons at a time (adding too many seeds at once can cause them to burn). Continuously stir the seeds with a spoon as they pop, and once mostly popped, quickly remove from pan. Repeat with more seeds if desired. Popped amaranth can be enjoyed on its own or served with milk or soymilk and fruit for a healthy breakfast.